Natural gas is a fuel that is made up mainly of methane. It is found in several different types of rocks, including sandstone and shale, and also in coal, as it is in the Narrabri Project area. 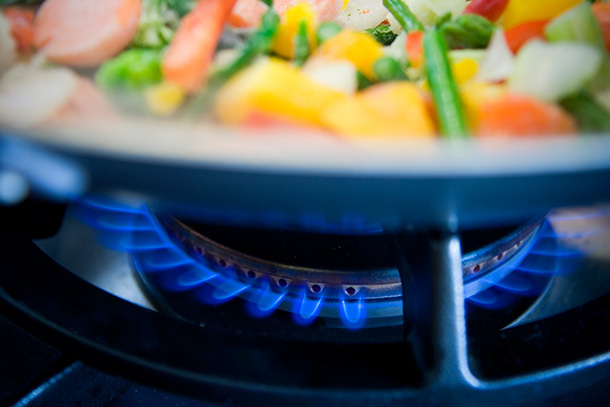 Natural gas is used to generate electricity and in homes for cooking and heating. It is an essential fuel in various industrial processes, including the production of bricks, glass, steel, plastics, paint, fabrics, fertilisers and many other products. Compressed natural gas is also used to power vehicles including many of Australia’s bus fleets. Natural gas is a cleaner-burning fuel than coal, emitting about half as much carbon dioxide when used for power generation. Natural gas also supports renewable energy sources like wind and solar, by providing peak power in times of high demand. In the Narrabri area, natural gas and water are held in underground coal seams by pressure. To extract natural gas, a well is drilled through the ground and into the coal seam. Water is extracted, releasing the pressure within coal seam and allowing the gas to flow up through the well to the surface. During this process, the coal is not removed – it stays in place underground. Due to the relatively small amount of land used for natural gas operations, natural gas extraction can co-exist with other land uses like agriculture. There is also flexibility with regard to where activities can be situated on a property, allowing operations to work in with a landholder’s agricultural business.